Our aim is to make printed products compostable. We do this with the Cradle to Cradle® design protocol. Cradle to Cradle® is a design concept that was developed in the 1990s by Prof. Dr. Michael Braungart, William McDonough and the scientists of EPEA Internationale Umweltforschung in Hamburg. It describes the safe and potentially infinite use of materials in cycles. Cradle to Cradle® is a design concept inspired by nature, in which products are created according to the principles of an ideal circular economy. In Cradle to Cradle®, all products and processes form a nutrient for something new. Just like in nature, there is no waste, only an abundance of nutrients. Cradle to Cradle® focuses on re-inventing products so that materials and processes have a positive influence on man and nature. This differentiates Cradle to Cradle® from conventional recycling and the concept of eco-efficiency. 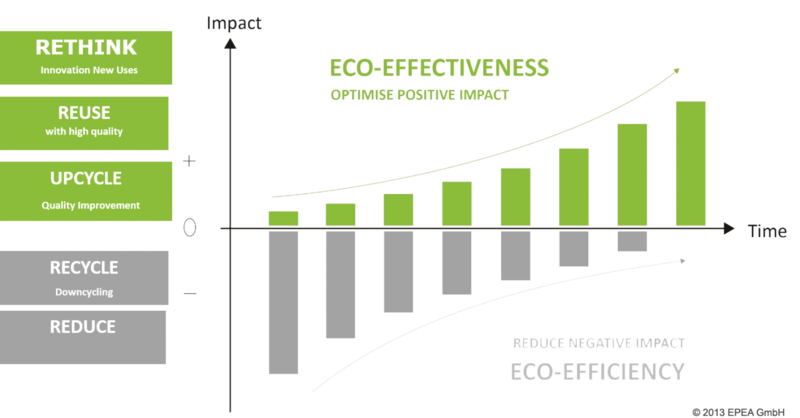 The Cradle to Cradle® design concept is about eco-effectiveness and goes beyond conventional sustainability tools and approaches, which primarily show the negative influence of humans on the environment. The Cradle to Cradle® design concept recognizes two cycles for materials: the technical and the biological cycles. The “waste” materials in an old product become the “food” for a new product. 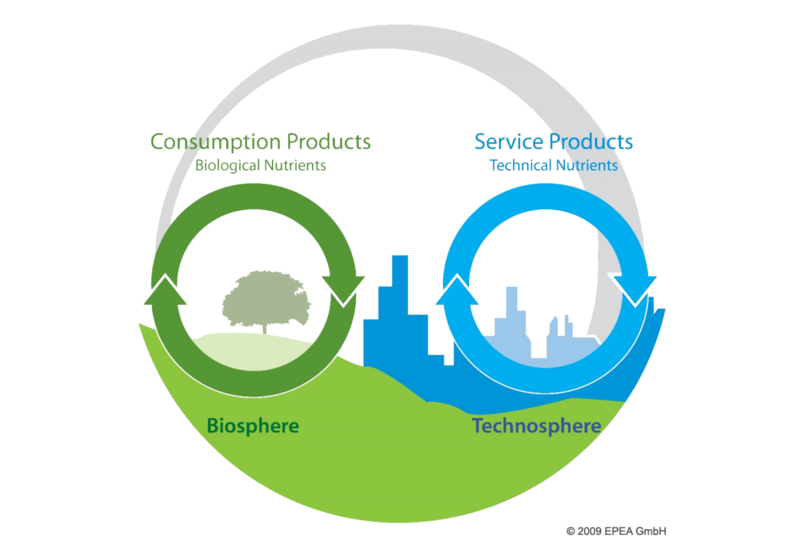 In the technical cycle, materials are not used up during use, but instead should be seen as service products. Materials in products designed for the technical cycle can be reprocessed to allow them to be used in a new product. In the biological cycle, products are consumed during, or after use. Materials are returned to the biosphere in the form of compost or other nutrients, from which new materials can be created. Some products for the biological cycle can be reprocessed in technical cycles several times, before finally retunring to the biosphere, as is the case with paper recycling. Ultimately, paper is returned to the bioshphere, and should be designed to do so. You can find more information about Cradle to Cradle® here (International), and here (Netherlands).